Get a sense of the great Western, Eastern, and Slavic civilizations at Kalemegdan, a commanding complex overlooking two rivers, the city, forests, and small islands. Dating back to the 2nd century CE, the site has served as a town, a military fortification, and today as one of the favorite spots for leisure and recreation. 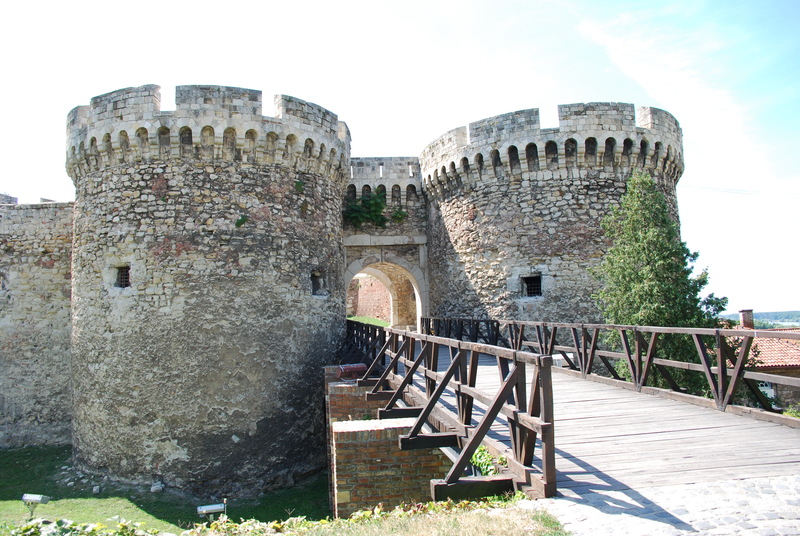 Other than castles, landscaped gardens, and ancient infrastructure, the fortress also hosts the Belgrade Zoo, several museums, and countless photography opportunities. Numerous agencies offer guided tours that can help you learn all about the site and even visit a portion of its mysterious underground catacombs. After sightseeing, grab a snack from a street stall and relax among the park's fountains and lush greenery. Arrange your visit to Kalemegdan and discover more family-friendly attractions in Belgrade using our Belgrade trip planner . The fortress is very old. Many young and old people come here to just to sit, rest, talk and play chess. You can actually also in part (for very little money) in fortress in (unfortunately only in part of the fortress). An awesome place with an awesome view over the city of Belgrade. The entrance is free, and there is so much to see here. It is a nice park, and is always full of tourists. Really do recommend, one of the hottest place here. Great place to relax and enjoy beautiful views. One of my favorite places in Belgrade. Take the train ride, it’s inexpensive and fun! One of my favorite places in Belgrade. Must see location for everyone. A place where history meets present, with its beautiful architecture, monuments, parks and river wievs it promises good time and fun for everyone. I loved this place, there's everything You can relax ,eat ,drink ,see, walk and.... You'll have fun. Such a great place where one spend hours in. I sat there for hours walking around, watching the rivers, reading a book, listening to music, watching old men play chess, and so on.. It is a very calming and enjoyable place, especially if the weather is good. Friendly Serbian people might come up and try to explain you the history of the place if you're lucky. Every day, we help thousands of travelers plan great vacations. Here are some tips on how to use your Listing Page to attract more travelers to your business - Kalemegdan. Promote your permanent link - https://www.inspirock.com/serbia/belgrade/kalemegdan-a320925157 - on your website, your blog, and social media. When a traveler builds a plan from this page, the itinerary automatically includes Kalemegdan. This is a great way for travelers looking for a great vacation in your city or country to also experience Kalemegdan. Promoting your link also lets your audience know that you are featured on a rapidly growing travel site. In addition, the more this page is used, the more we will promote Kalemegdan to other Inspirock users. For best results, use the customized Trip Planning Widget for Kalemegdan on your website. It has all the advantages mentioned above, plus users to your site can conveniently access it directly on your site. Visitors to your site will appreciate you offering them help with planning their vacation. Setting this up takes just a few minutes - Click here for instructions.